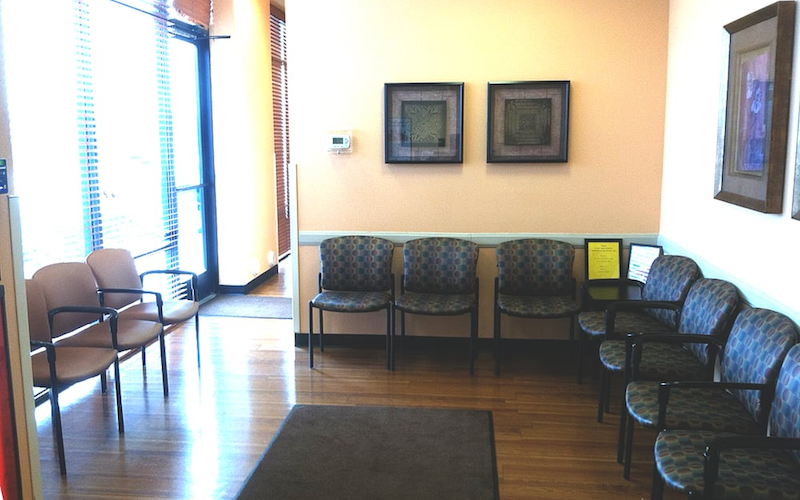 As part of the larger NextCare Urgent Care, this clinic has affiliates with the closest other clinic being in Scottsdale about 3.5 miles away and is open today from 8:00am to 8:00pm. Recognized favorably amongst their patients, NextCare Urgent Care, Phoenix (E Indian School Rd) has an average rating of 4.7 stars out of 5 based on 598 total ratings. The staff was pleasant and professional. I was very pleased. I needed to calm my nausea, the PA listened and did exactly what I needed. I feel much better already!! I appreciate the quality of care at this facility. Dr was very thorough and knowledgeable ! Very understanding and had a great plan of action! I love this place. Everyone was efficient and friendly. Ms. Huerta was top notch and addressed all of my concerns. Thank you! I can’t say enough great things about this provider. She was so incredibly sweet, very relatable, and made it so easy to share my problems with. Convenient. Staff were very capable and attentive to their duties. The doctor recalled my last visit from many months ago. I met with the PA Megan, who was wonderful. I'm a nurse and NEVER get sick. This was my 3rd visit to an Urgent Care that week, with NextCare being the 2nd company. (I have yet to see my PCP because they can't squeeze me in anywhere and are booked weeks out. It was recommended I go to the UC or ER.) Knowing I was more an urgency than an emergency, I returned to NextCare after visiting them many years ago. I was seen quickly. I actually got to give a little History about myself and what was going on, before she started her assessment. I was glad she listened to me, which sometimes is half the patient's battle. I was happy with her care, and will return there again. (Unfortunately, I called my PCP again, and they still cannot fit me in.) So, back I go. Maybe NextCare can assume some PCP patients.. That sure would be nice.. It's a lot easier to make an appointment there! Arthur Rothstein gets straight to the point, which I appreciated. I felt his recommendations in the treating of my bronchitis were right on target. Hoping to feel better soon! I went in with a killer throat and was treated well and was out quickly. I’ve always had a good experience at this urgent care and so has my son. I made an appointment online for the first time and it was so much easier than doing a walk in. Thank you to the staff who helped me! Very nice.